Line the cupcake pan with cupcake liners, and place an Oreo at the bottom of the liner. In a large bowl, mix the cake mix, eggs, vegetable oil, and water until well combined. Pour about 1/4-1/3 cup of cake mixture over the Oreo in the cupcake liner. The liner should be about 3/4 of the way full. Fill all the cupcake liners. Place in oven and bake for about 20-25 minutes or until you can poke with a toothpick, and there is no batter on the toothpick. In a medium sized bowl, add butter (at room temperature, not softened or melted at all), powdered sugar, vanilla, and milk. 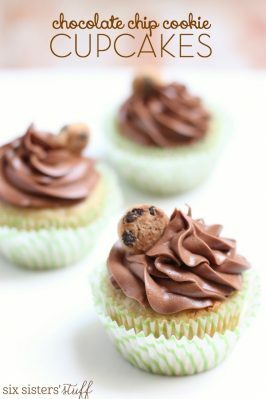 Mix with a hand mixer until smooth and well combined. If the texture is not to your desired thickness, you can add a little more powdered sugar. Crush about 6 Oreo's in a bag or food processor. 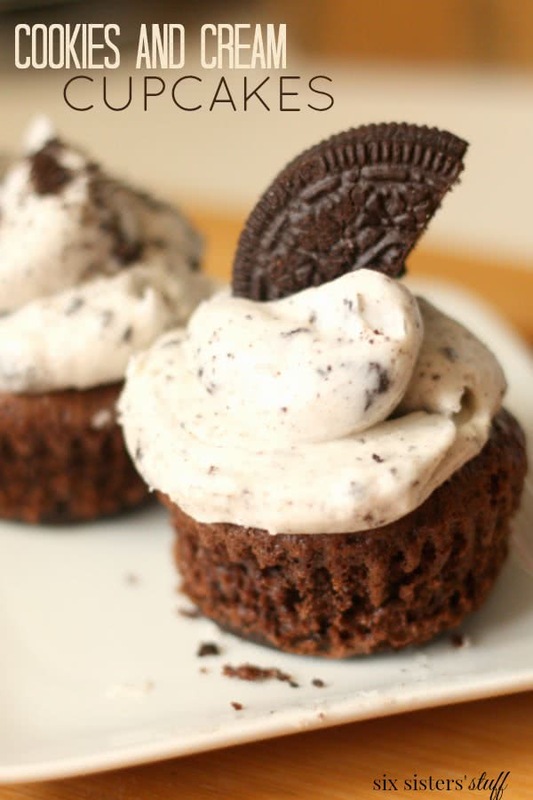 Add the crushed Oreo's to the vanilla frosting, and mix in with a spoon. Take the stress out of dinnertime! For just $5 a month, you will receive a weekly menu plan that starts with a week at a glance so you?ll know exactly what to make and when! 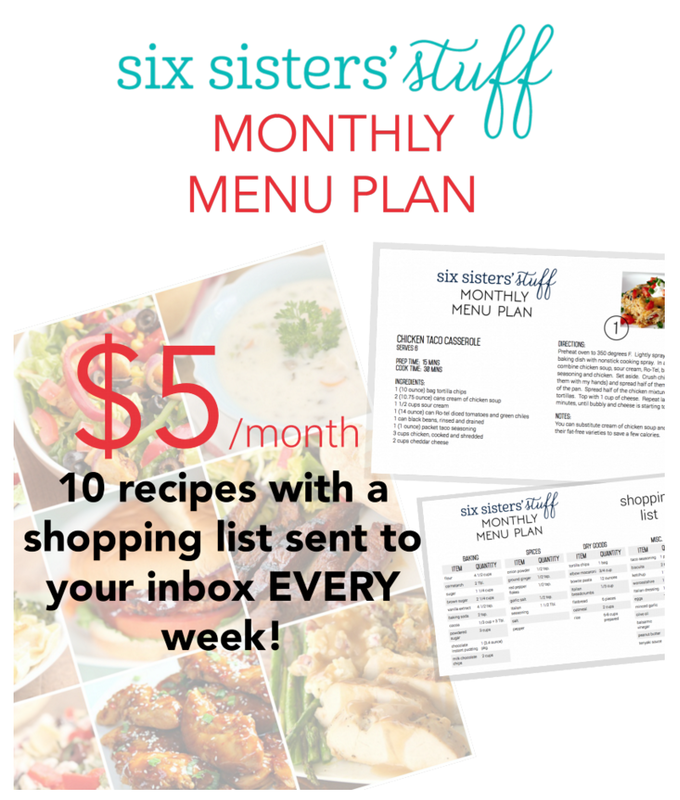 Each menu plan includes 6 main dish recipes, 2 side dish recipes and 2 dessert recipes! That means you?ll be receiving 40 tried-and-true recipes your family will love every month! Each recipe includes a picture of the recipe, serving size, prep time and cook time to help you plan accordingly. At the end of each menu plan, there is a detailed shopping list so you know the exact amount of each ingredient needed to make your recipes for the week. Getting dinner on the table has never been easier or more delicious!